The abuse of elderly individuals while they are under the care of nursing homes or other caregivers is an astonishingly common occurrence. Simply assuming that because someone is being paid to care for your loved one, they will do a good job of it, is unfortunately a mistake made by thousands of people every year. A congressional report released in 2001 showed that as many as one in every three nursing homes were cited for abuse violations within a two year span. 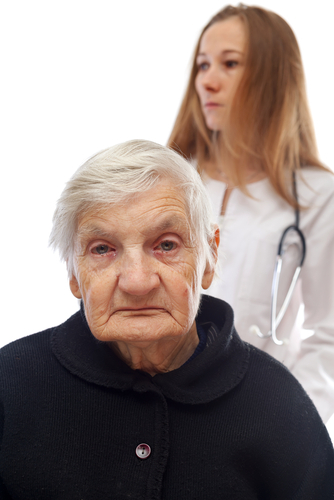 Abuse of individuals in nursing homes often goes unreported. Oftentimes, the victims are afraid to speak up against inappropriate actions for fear of further abuse. However, an increasingly common reason for the lack of reported instances of nursing home abuse is the victim’s mental state. Alzheimer’s disease, the most common form of dementia, affects as many as 5.2 million Americans and causes forgetfulness and confusion. As a result, abuse victims may not understand what is going on around them. It’s important to stay close to your aging loved ones when the decision to put them in an elder care facility has been made. This can help you ensure that they are being treated with the dignity and respect they deserve in their twilight years. I can’t believe the statistics that were released on the amount of nursing homes that were cited for abuse violations. This blog post makes me realize how important it is to research nursing homes before putting a loved one in their care. What a terrible story. My mother is currently living in a nursing home, and I can’t imagine this kind of thing happening to her. This is such a tragic problem. In many cases, it arises because of the lack of knowledge among support staff about the medical needs of residents. I am glad to see this problem being reported on here. As you stated, it is too common and too often not mentioned/reported.